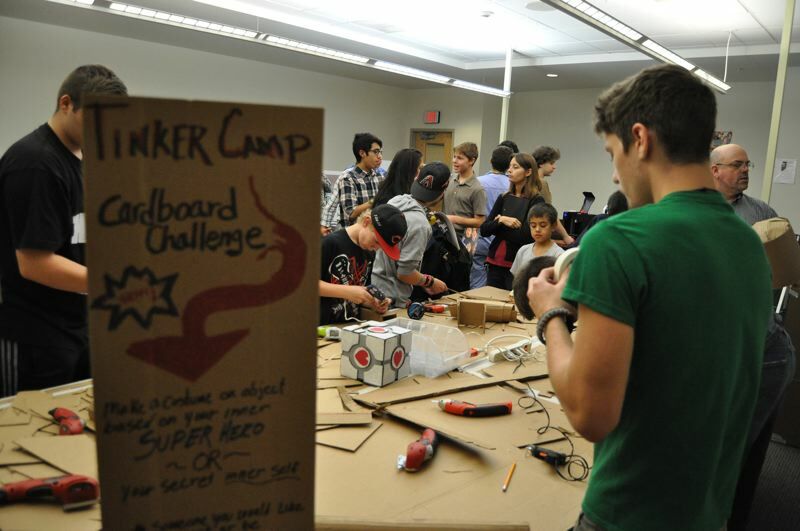 The Center for Advanced Learning (CAL) is holding its fifth-annual Makers Gone Pro event to get students excited about careers in advanced manufacturing and industrial engineering. Children, families and community members can watch live demonstrations of 3D printers, laser cutters, robots and even a flight simulator at the event, which runs from 4-6:30 p.m. Thursday, Oct. 4. It's an opportunity to understand and learn about the world of making things and how these activities relate to the Portland region's robust manufacturing sector. Industry representatives will be available to chat about what kinds of careers are available, where sectors show the strongest demand and what kind of preparation is needed for different jobs. There also will be interactive booths with fun activities for kids. Tigard-based Aero Teardrops will show off some of its hip camper-trailers made in Oregon. Makers Gone Pro celebrates National Manufacturers Day, which is always the first Friday in October and falls on Oct. 5 this year. The day was created to honor manufacturing and to inspire the next generation of manufacturing workers. This year's Makers Gone Pro guest speaker is Tibi Iovu, senior manager of the adidas Maker Lab. Iovu joined adidas from the aerospace industry and is currently working on his fourth patent. Most footwear sold in the U.S. is manufactured overseas, and Iovu is interested in bring this industry back to the U.S.
CAL, 1484 N.W. Civic Dr., is a charter school that admits students in their junior year from the Gresham-Barlow, Reynolds and Centennial school districts. Junior and senior students go to CAL for half a day and learn profession-related skills. The other half of the day, they attend their "home" high schools. CAL's programs prepare students for college or other post-high school education or to go straight to work or apprenticeship programs in some careers. CAL has programs in health sciences, mechanical engineering and manufacturing, computer information systems and digital and media design. They also offer entrepreneurship classes in the CHANGElab and a new program called Design to Fab Lab is a product creation and development program focused on athletic apparel and shoes.